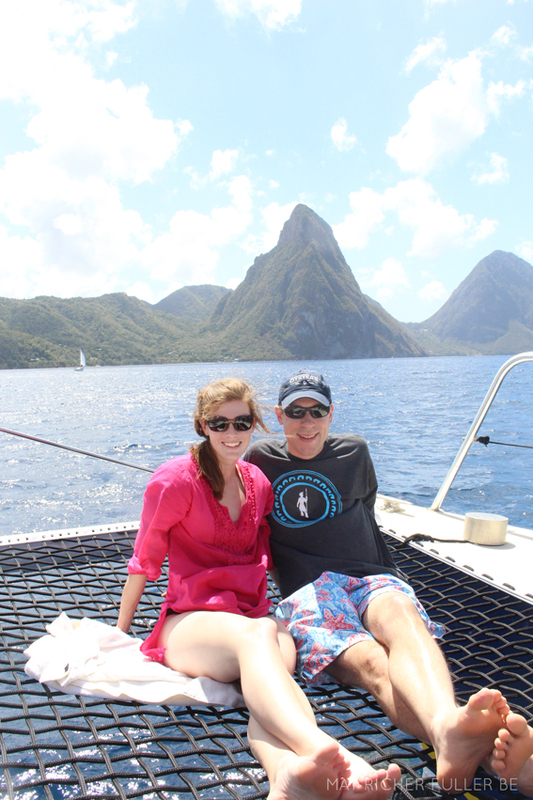 My husband and I just got back from a glorious nine day vacation to St. Lucia. Since he's in grad school right now, he has things like spring break (cue the jealousy! 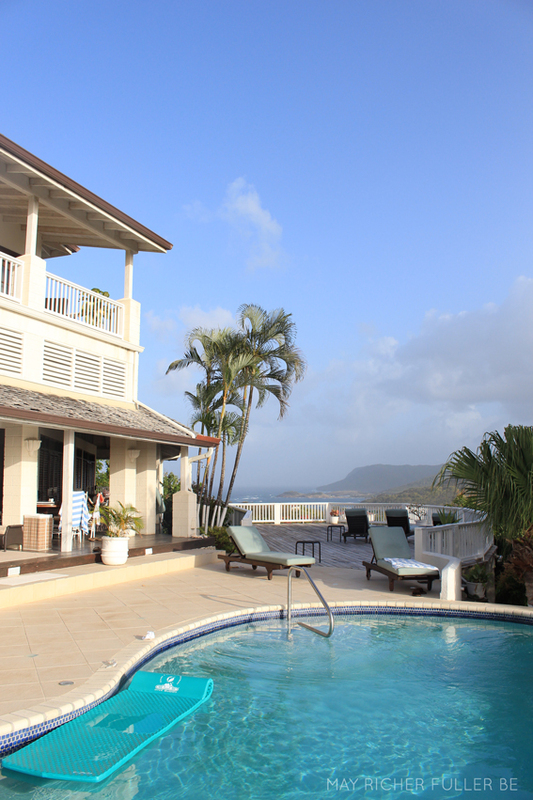 ), so we decided to take advantage of it and escape to the warmth of the Caribbean with two other couples. We had never traveled internationally with friends, and I'm happy to report that we all had a blast together. We even made matching tees (oh yes we did!). 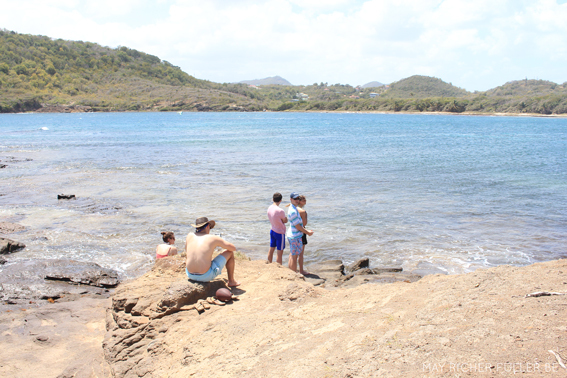 It was the perfect mix of restful and active - we spent countless hours hanging out by the pool, but made sure to spend a few days exploring the island on day trips as well. Since I've already had several friends and family ask about our trip, I figured it would be fun to recount our trip, hit some highlights, and pass along a few tips and recommendations. 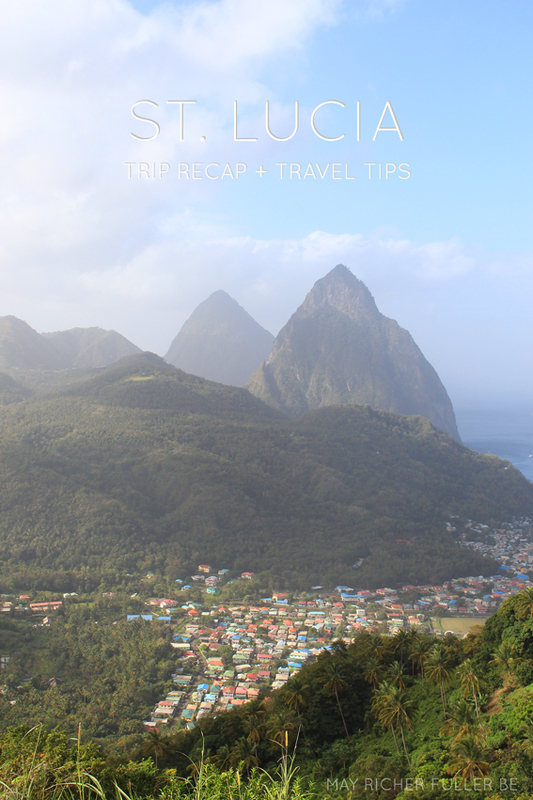 If you're planning a trip to St. Lucia any time soon, I hope this information will be helpful! Feel free to ask me any specific questions via email or Facebook as well if you'd like. 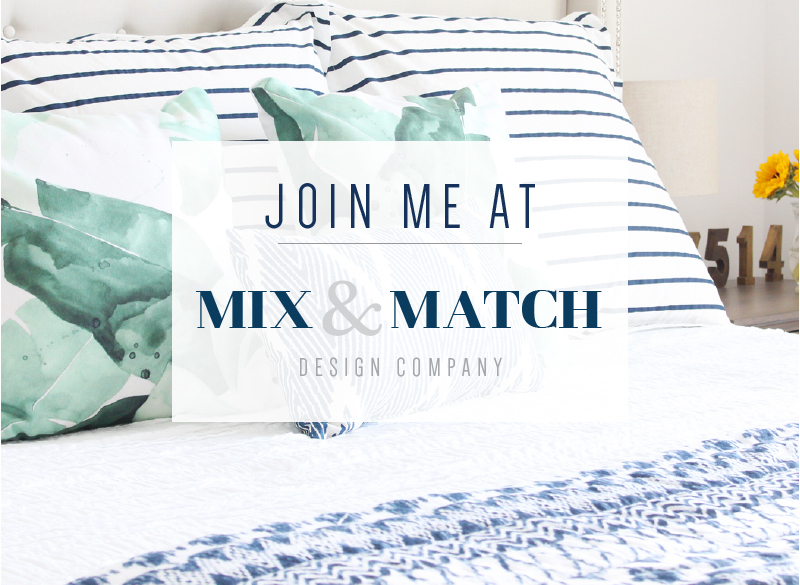 This post will be a long one, so pin it for later reference or grab a cup of coffee and pull up a chair! 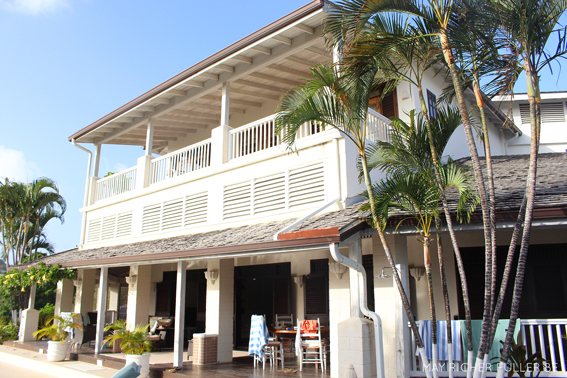 With six of us in our group, we decided to rent a villa instead of staying at a resort. We all agreed this was one of our best decisions of the trip! 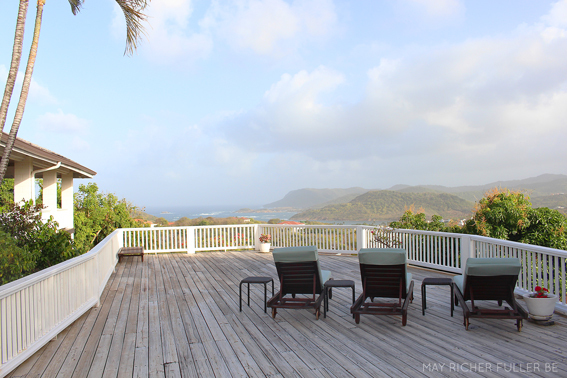 We rented a gorgeous seven bedroom house with a pool at the very top of a hill on the northern tip of the island in an area called Cap Estate. The views were unbelievable! Now you may be asking why did you rent a seven bedroom house if you only needed three bedrooms?! Well it turns out that many villas will "close off" the bedrooms you don't use and rent out only the ones you need at a lower cost. The awesome part about renting a larger house is that you still get all the amenities and the common space of a bigger villa without paying the higher cost. Also, the price of many villas (including ours) includes a housekeeper, cook and groundskeeper, so it's almost like having your own private resort. We felt so spoiled all week! Having a cook was amazing. 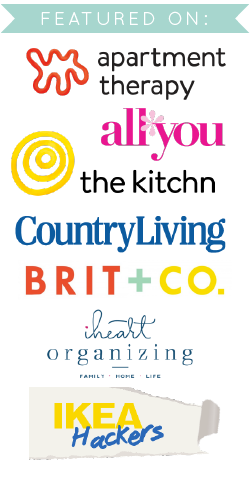 We sat down and planned the meals with her at the beginning of the week and all we had to do was the grocery shopping. She did the rest. We ate at the villa for nearly every meal and it worked out perfectly for us. It was much more cost-effective than paying the high prices at restaurants around the island and it meant more time for relaxing since we didn't have to drive anywhere for meals. If going out to eat is a priority for you, make sure to pick a location with easy access to restaurants though :). Our villa was run by a local property management company and the representative from the company was extremely helpful when it came to coordinating things like our hike (see below) and one of our day trips. She was always available by phone and email if we needed anything during the course of the week. Again, having this service made our villa feel like a mini resort - a huge plus! 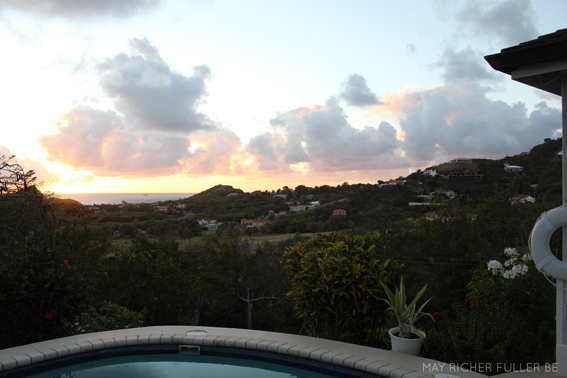 With the villa facing west, we made sure we were "home" for the sunsets every night to catch views like these! 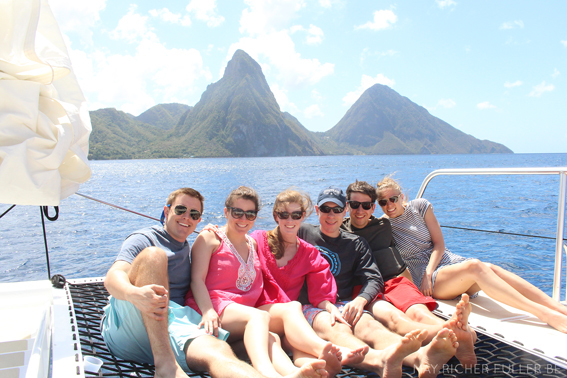 This tour took us on a two hour catamaran ride down the west coast of the island from Rodney Bay to Soufriere. It was beautiful, but a longer ride and a more crowded boat than we expected! There were about 50 people on the tour. 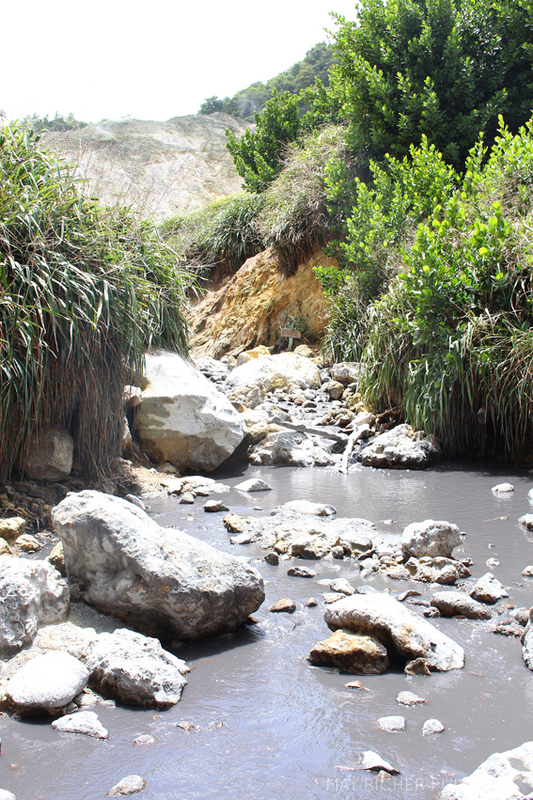 Once we got to Soufriere, we were divided into groups and shuttled up into the hills to see a waterfall, take a dip into a sulfur spring mud bath, tour a sugar mill/plantation, and eat lunch. The waterfall and sulfur spring were a little disappointing to be honest. They were a little over-touristy and the sulfur spring mud bath was pretty small. 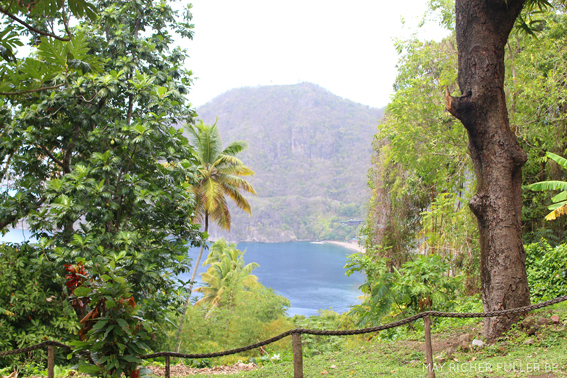 Both were pretty glimpses into some of the natural beauty of the island though! 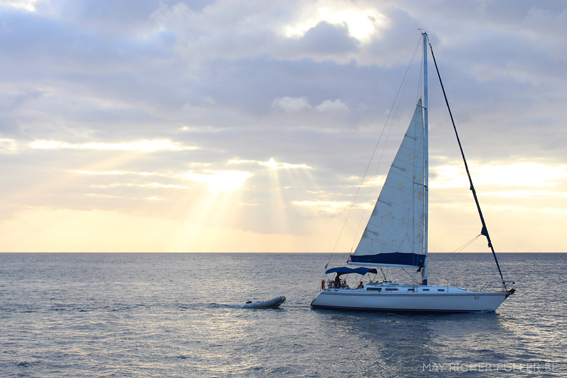 After that we got back on the catamaran and sailed back up the coast with a stop for snorkeling on the way. They provided the gear and we had a blast swimming around with the pretty tropical fish! Overall, it was money well spent to see and do a lot in one day. I'd recommend it. First of all, this day had incredible potential to be super relaxing, but it ended up being a total, utter, logistical nightmare. 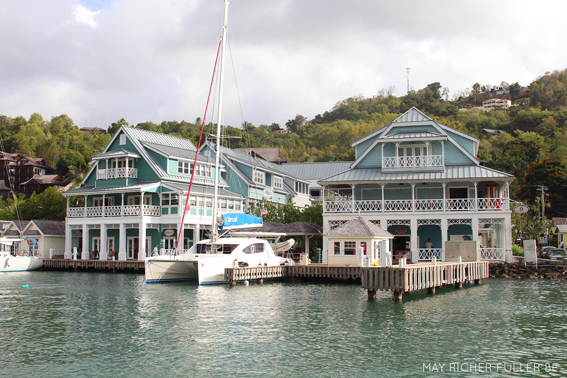 The idea was to sail via catamaran from Castries to one of the loveliest resorts on the island called Sugar Beach (look it up...it's amazing). The girls would have spa treatments while the boys did water sports, we'd have lunch together, and then hang out on the beach for a couple of hours before sailing back at sunset. Sounds idyllic, right? Well the sailing company did all the scheduling incorrectly (along with some false advertising about the sunset cruise), so we spent most of the day trying to work things out with the cruise company and get everything we paid for. It was not the relaxing day we planned! I will say though - if the cruise company can hammer out the kinks in scheduling this day, I'd do it again in a heartbeat. Once we actually got to do the things we signed up for, it was wonderful. And I can't say enough good things about the staff at Sugar Beach. They bent over backwards to help us out after they realized how badly the sailing company messed up. Yikes! 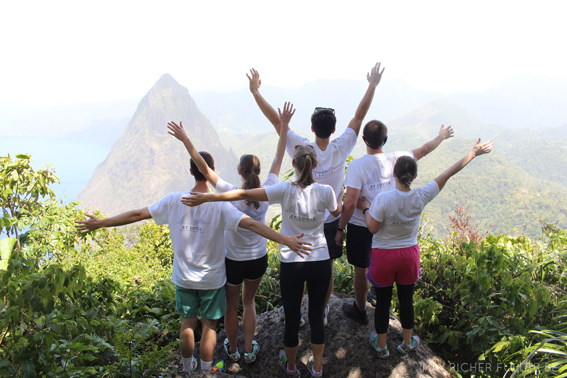 Our biggest accomplishment was hiking the 2,000 foot peak in Soufriere called the Gros Piton. It's a UNESCO World Heritage Site. You are required to have a guide (you don't want to go without one, trust me!) and our guide, Francis, was wonderful. He chatted with us during the "moderate to strenuous" hike, educating us about St. Lucia, the Gros Piton and life in general. He even took us to a "secret" lookout point at the top that was by far the best view from the summit. 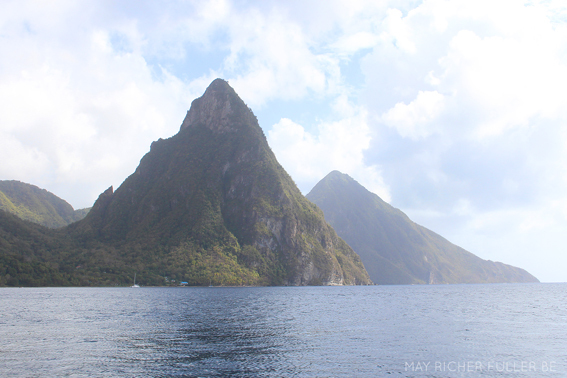 We were wiped at the end of the hike, but it's definitely a must-do if you go to St. Lucia. 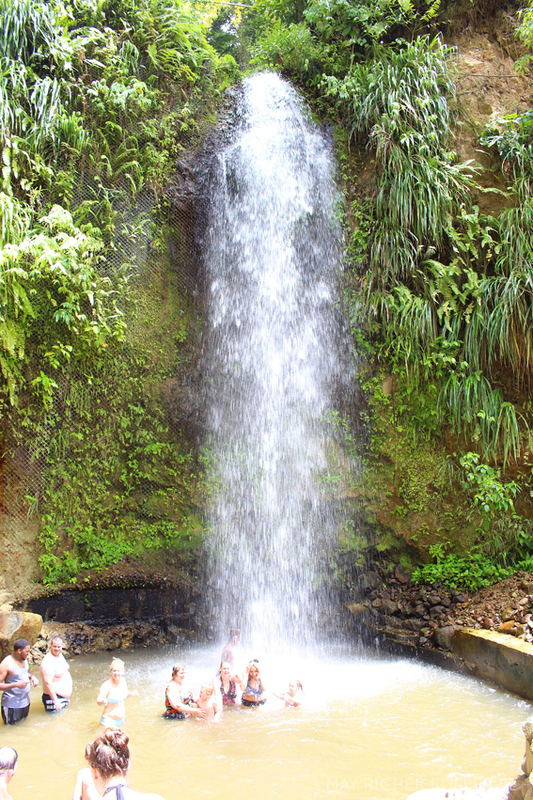 St. Lucia is a volcanic island, so the beaches are generally small stretches scattered all around the island. The west coast is on the Caribbean Sea and most beach-front resorts are on that side of the island because the waters are calm and the beaches are pretty nice. The east coast is on the Atlantic Ocean and is much wilder and less developed. Some of the beaches can be challenging to get to due to road conditions, but they're all open to the public - even if there's a resort there. That's good news/bad news. It was great for us since we were staying in a villa - we could drive to any beach and explore - but it's also bad because beaches can get crowded and there are lots of locals trying to sell you things. If I was staying at one of the resorts and hoping for privacy, this would not be the place I'd choose! If that's your hope as well and you're looking for a resort, your best bet is to stay at one that's more isolated and difficult to access. We didn't end up spending a ton of time at beaches, but if you're curious about specifics, please ask and I can probably give you some advice! 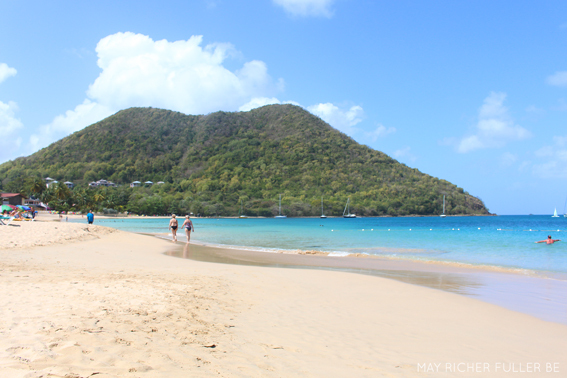 We flew non-stop via Jet Blue from JFK to St. Lucia. The flight is a little over four hours and we arrived in the early afternoon. It was a very easy trip! Also something to note about passports and St. Lucia: your passport expiration date MUST BE at least six months away from your return date in order to travel there. In other words, the expiration date isn't really an expiration date for some countries. One of our friends ran into this issue (thankfully before we left), and had a crazy time getting his passport renewed last minute. 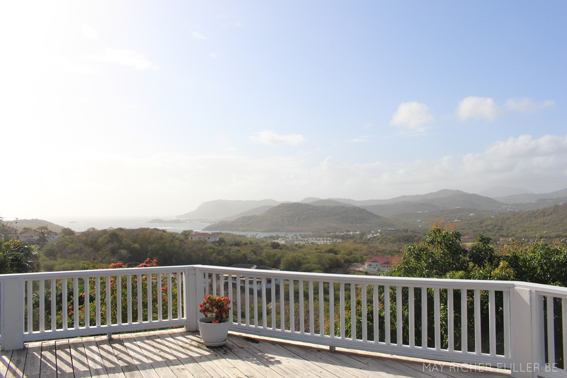 We read terrible reviews about renting a car and driving in St. Lucia due to the hilly terrain, narrow roads, lack of guardrails, crazy drivers and the fact that you drive on the opposite side of the road. Needless to say, we were concerned! Many people avoid renting cars due to these concerns, but since we had six people and were staying at a villa off the beaten path, we didn't really see an alternative so we risked it. I'm happy to report that we had no issues and having a car gave us major flexibility to come and go as we pleased each day. You have to be cautious of course, but it really wasn't any worse than driving in Philadelphia in my opinion! One thing about travel time: even though it's small island and you'd expect to go from one end of the island to the other in no time, the roads are very windy most of the time and so it actually takes about two hours to go from the north to the south end. No one enjoys riding in a car under those circumstances for very long! If you book any day trips/tours, the cost generally includes a shuttle from wherever you're staying though, and we took advantage of that a couple of times for our excursions. Taxis are also available on the island, but we didn't use them so I don't know what the pricing is like. Overall, we had an incredible trip. 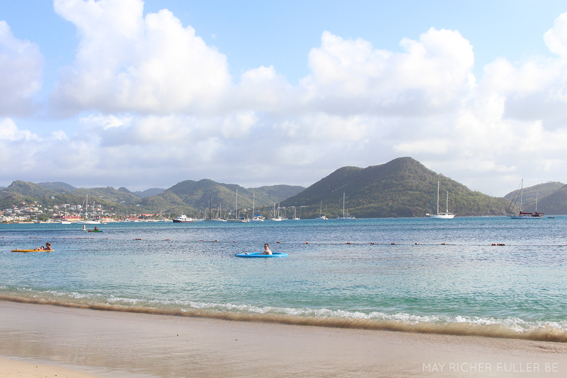 St. Lucia is a wonderful getaway spot for a week and I wish we were still there! It was the perfect place to rest and recharge after a long, cold, busy winter for everyone in our group. We deepened our friendships, disconnected from the constant pull of technology, played, and let ourselves be pampered a bit. Being back now, I realize how important it is to do that regularly given the crazy busy lives we lead. I'm so thankful for our time away! 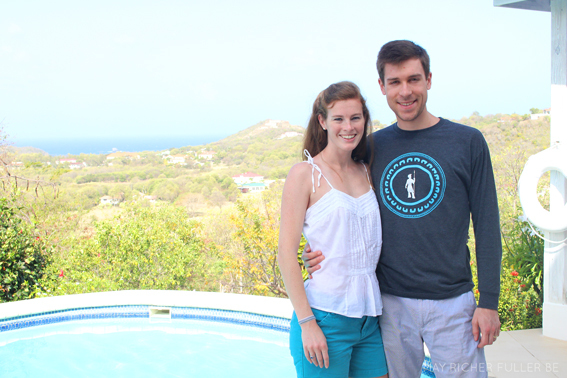 Our last moments at our villa - we weren't ready to leave! Looking for more posts like this? Check out my posts on our trips to Paris (part 1, part 2 and tips & tricks) and St. Barth (part 1 & part 2)! 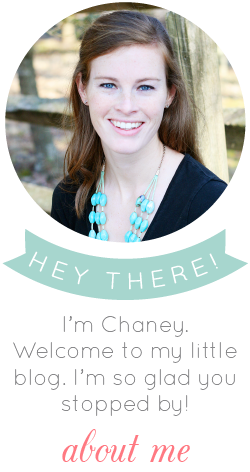 Wow, Chaney, this place is gorgeous. I have to live my travels vicariously through you, since I have not gone to the places that you have. What a blessing to do this at a young age! Your itinerary was helpful for anyone who wants to travel there. I hope you are getting some Spring-like weather now that you are back in Philly. There is nothing like rest and renewal time, so I'm glad you got to go on this trip.